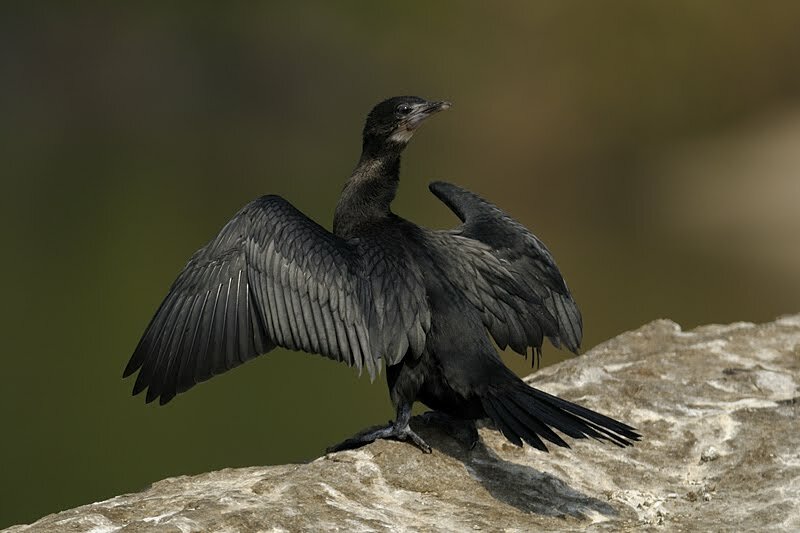 Cormorants are one of the most widespread residents of all wild birds found in India. They are categorized as “Least Concern” in the conservation status. These black beauties are commonly seen around lakes, and it is interesting to watch them flap and spread their wings to dry them. 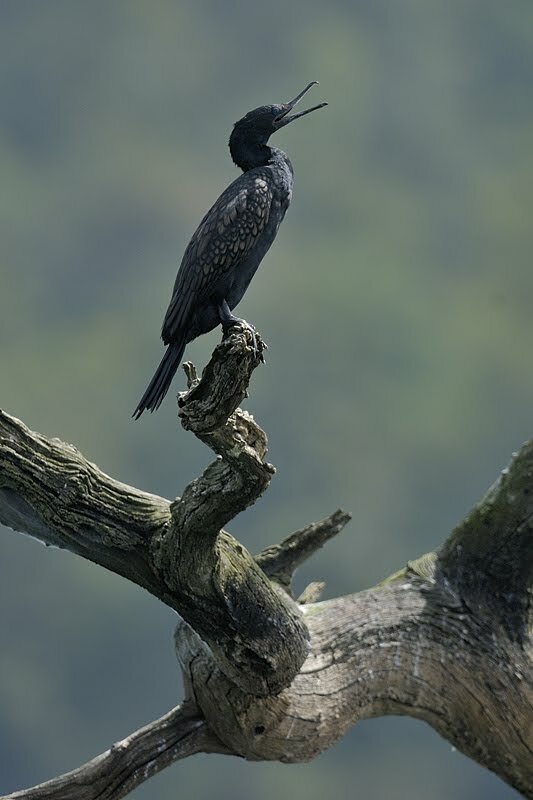 While there are many species of Cormorants in India, we have been successful in photographing the Little Black Cormorant and the Great Cormorant. In Southern India, Kabini national park, Ranganthittu bird sanctuary & Bhadra national park are the best locations to photograph these birds at close quarters. Here is a selection of images of this black beauty. Here's me thinking cormorants are seabirds. THey are, aren't they? The first one is awesome! They are rather prehistoric looking aren't they. …especially the one looking over its shoulder. Fantastic shot. Here in the states they are also called Anhingas, and some people call them snake birds for the shape of that long powerful neck. They do have a primitive look but they are lovely to watch. They are beautiful creatures and you have given us another wonderful series. And again, congratulations for your vision and your respect for animals. Excellent set Thomas. I never got nice shots of this bird… Here, it stays away from photographer… The only shot I got was in the sunset one day during the summer and it was more an atmosphere shot than for the bird. Well done the portraits are gorgeous! such clarity on the shots, very difficult to photograph wildlife, especially flying species, this is no exception! 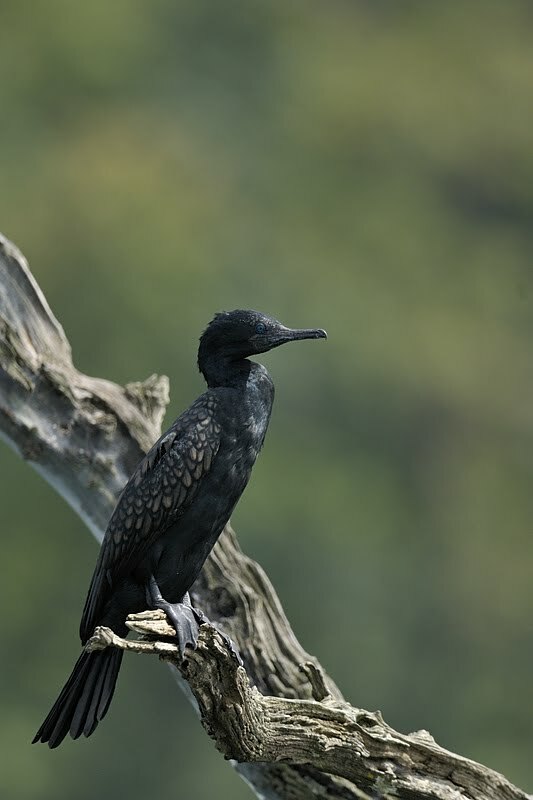 that little black is great – somewhat like our pygmy cormorant. did you ever see my youtube video of them in italy? I love seeing cormorants swim underwater. Then you can see the balance in their form between flying, diving, and being able to nest on cliffs or trees. Again another series of fantastic wildlife shots. I like the first one, such detail. I really like the one on a rock, the colors are nice in the background. Majestic images of an oft unappreciated group of birds, Thomas. Your photos really do them a great service. 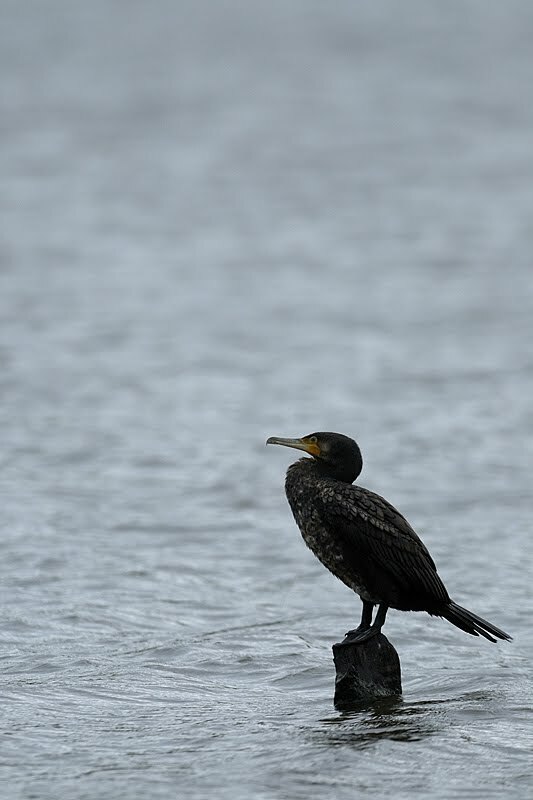 I see two cormorant species every day–and more if I move around a bit. I think all of them would appreciate and benefit from your photographic skills. Fantastic pictures! That's quite the interesting pose in the fourth photo. Good shooting! Fantastic shots as usual. Your photographs always inspire me to meet these small creatures. Amazing work. Keep it up! great pics, as usual,… btw,,, i saw some of them quite near my house..here in bombay….. unfortunately didnt have my camera along…. Amazing detail in the first; and I love the composition of the last, on the gnarled tree. I often think of how small heads some birds have in comparison to their bodies and then a huge beak on that. for shooting a simple image like the third one i think you might have waited a long time for that perfect capture! As I was loading the website, I was thinking "What kind of pictures can Thomas take of Cormorants". Now I know the answer – awesome pictures!! I never noticed the yellow under the beak before. Love the 'batman' pose picture. Thomas: This is one of the critters we have in common, you have captured them just beautifully. Some birds live around globe. Apparently this is one of them. Here in Brazil we call this the BIGUÁ. I've published a picture of it. See. Beautiful photos! I like cormorants very much, and these were very good captures! awesome shots as always!! WOW!! always enjoy visiting your blog. awesome bird portraits. really great! La pose de la tercera fotografia es espectacular, con esas alas abiertas y la cabeza hacia atras. The best photographer at the best locations to photograph these birds – what a wonderful combination!! The first is our favorite this time, so very sharp and elegant! Wow love the last shot with the bird on that cool looking tree! Really amazing. Great fishermen these birds! Awesome captures, Thomas. Another wonderful series. I especially like how you captured the highlights in the eyes in the fourth image. Also your previous post was an outstanding series on the elephant. Very exciting to be there, no doubt! One of the most amazing series of yours…the close ups are brilliant! Especially the first one.Outstanding pics, Thomas. Hi Thomas, blogging after a long time! And am really glad to b here in ur blog!!! As usual amazing work, mind-blowing pics!!!!!!!!!! Wonderful yaa! You have definitely captured the beauty of this bird, Thomas! 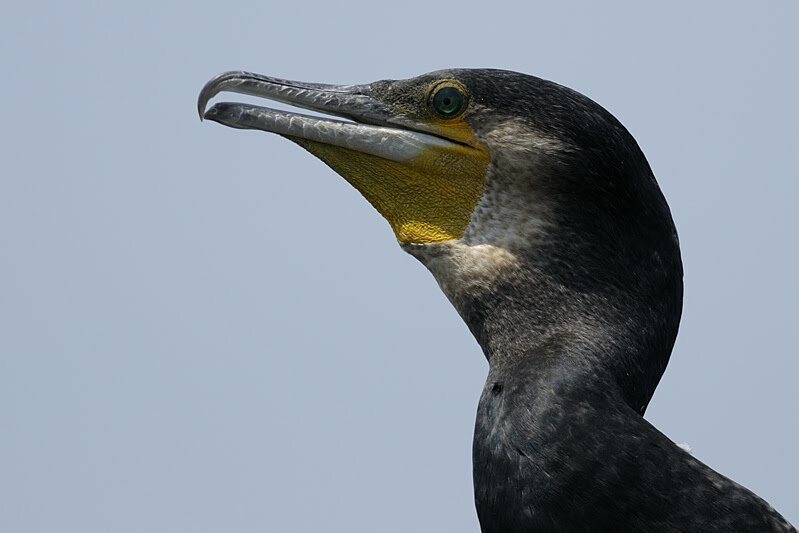 The head shot of the cormorant is really fantastic. The uncluttered blue background makes this portrait a masterpiece. Beautiful shots as always my friend. Have a great day. The first one is very impressive, nice close-up, and the drying bird is also great. I had always problem photographing cormorants – here are these birds very shy. I saw my first Cormorant a few weeks ago. Your photos are stunnin and so artistic!!! Nice to you Thomas ! a very nice serie one more time …. your pictures always leave me speechless !!! you should publish a book !